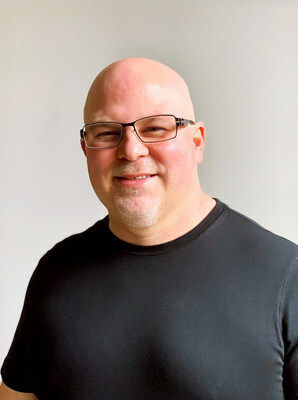 SEATTLE, April 17, 2019 /PRNewswire/ -- FLEXE, the leader in on-demand warehousing and fulfillment, today announced two prominent additions to the company's leadership team. 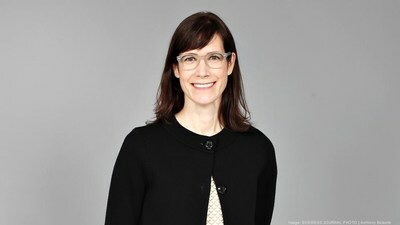 Former Amazon executive, David Glick, joins as Chief Technology Officer, and former T-Mobile and Zulily executive, Deirdre Runnette, joins as Chief People Officer and General Counsel. In their respective roles at FLEXE, David and Deirdre will help drive business growth by advancing the FLEXE technology platform and attracting and retaining world-class talent. David Glick joins FLEXE after spending 20 years leading technology teams at Amazon, most notably in fulfillment and logistics technologies. He will focus on advancing the FLEXE technology platform to support the company's mission of optimizing the global delivery of goods. Deirdre Runnette brings 20+ years of experience building sophisticated compliance, human resource, and legal programs. She will oversee FLEXE's legal operations and lead talent acquisition and professional development initiatives to help the company hire and retain the best technology and logistics talent. "Logistics technology is in my DNA. For two decades, I had a front row seat to the rise of eCommerce and the massive changes it spurred in warehousing and fulfillment. I joined FLEXE because the on-demand warehousing category they're pioneering will transform global logistics in the same way Amazon transformed global commerce. Everyone is either long or short on warehouse space. I couldn't imagine passing up the opportunity to be a part of leading that journey." "I've always been attracted to the vibrance and innovation within the Seattle technology community. I look forward to continuing my career at FLEXE, a company that prioritizes people and culture. The team's energy is palpable. From leadership to the newest employees, people are excited to work at FLEXE." "Our technology and our people are the two ingredients essential to FLEXE's momentum and success. Deirdre and David's new roles with us represent our continued, relentless commitment to investing in both. As on-demand warehousing reaches a critical tipping point, I am inspired and humbled that two individuals at the top of their respective fields share our team's passion to pursue the massive market opportunity in front of us." This news follows FLEXE's appointment of Matt Millen as Chief Revenue Officer in January, and the company's move to a new, 24,000 square-foot office space in Pioneer Square last month. FLEXE is the leader in on-demand warehousing, helping forward-looking brands create structural flexibility across their warehousing and fulfillment networks. With the FLEXE technology platform, a network of more than 1000 warehouses, and a team of logistics experts, retailers and brands use FLEXE to create dynamic eCommerce fulfillment networks and resolve warehouse capacity constraints. Based in Seattle, the FLEXE team is dedicated to transforming the supply chain industry and helping clients create exceptional customer experiences. For more information, please visit http://www.flexe.com/ and connect with us on LinkedIn, Facebook, Twitter, and Medium.